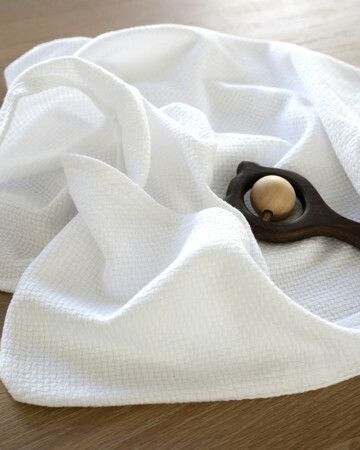 The Boma Cloth is a generously sized kitchen towel that is as good looking as it is functional. 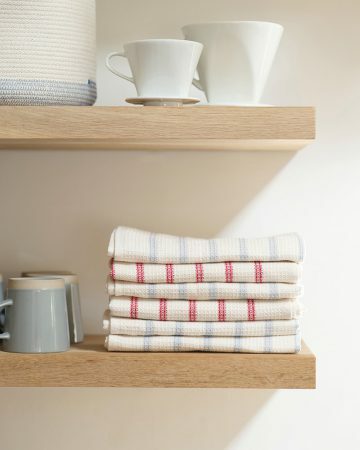 Why shouldn’t kitchen linen be a statement piece we asked? If there was ever a product to embody our Proudly South African ethos, this one might be it! 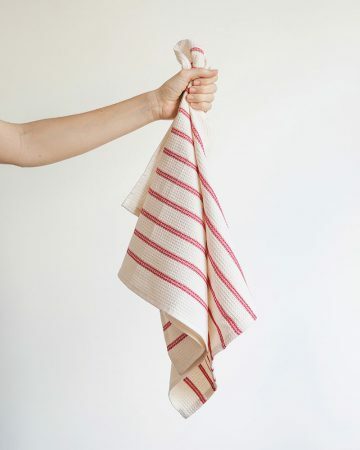 The Boma Cloth is a multi-purpose kitchen cloth, available in 12 earthy and vibrant colour combinations, each inspired by elements of the South African natural landscape: think shadows cast across a dry desert floor; rippled sand of a quiet wind-swept East Coast beach; the pink light of dusk reflecting off clouds in the sky; the silhouette of a baobab tree on a balmy moonlit night. The Boma Cloth was originally designed and woven in our old Working Weaving Museum on our antique Lancashire looms. The older shuttle looms allow for more versatility and creativity at the design phase of a new product with a complex weave. Our Lancashire looms have been retrofitted with dobbies, which allow us to do a fancy dobby weave and yes, ‘fancy weave’ is a proper weaving term. Once the weave has been refined it is often moved to the more modern Dornier machines. Demand for our boma cloths soon outstripped the capacity of our old girls, so the Boma cloth is now woven on our more modern Dornier machines. 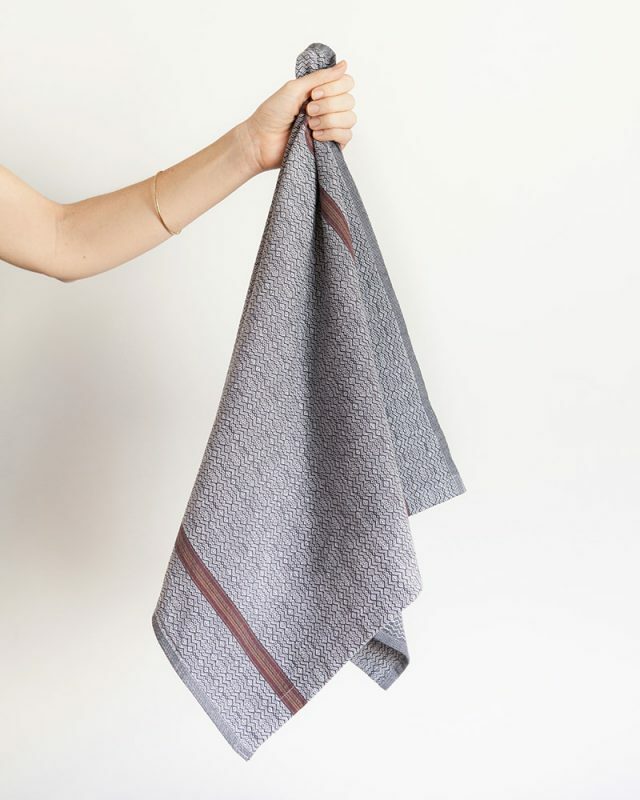 The Mungo Boma cloth is woven from 100% cotton which is grown in Swaziland. 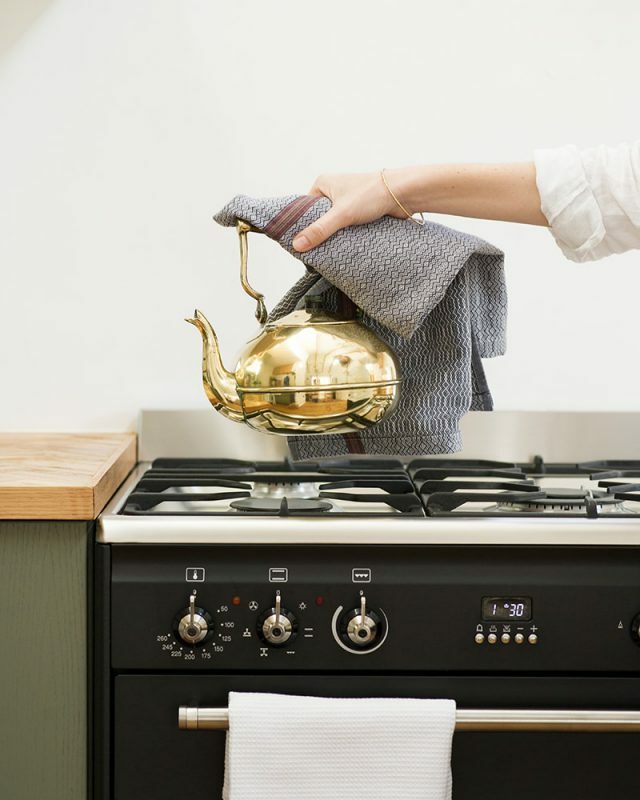 The irregular and unstructured geometric weave pattern will add a warm, rich texture to your kitchen. 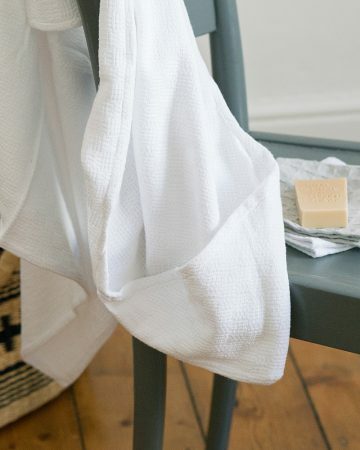 A sewn in corner hook allows for easy hanging (and showing off). 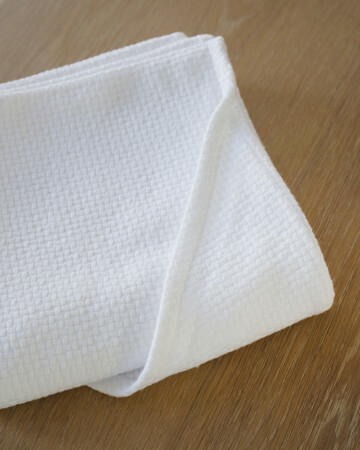 We have now adapted this complex weave to suit an additional napkin range. 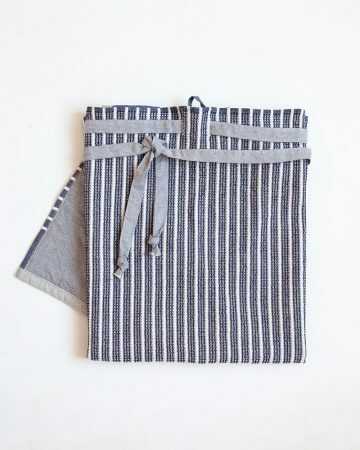 Read more about the Boma Cloth on our blog here. 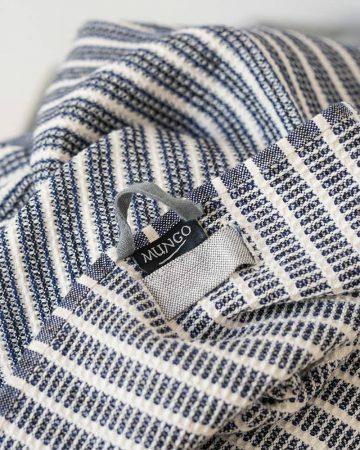 "Transparency in our production process, along with world class design, is what sets Mungo apart."